After the success of Bibo Mart, we have built our brand - Tiniboo ® - a fashion brand with all products made from cotton, bring joy and absolute safety for your baby's health. Our idea from day one has been to create something matters, something meaningful, and something good for the world. Everything at Tiniboo is ruled by ethical quality. In Tiniboo, we believe that you and your baby deserve to use non-toxic products. 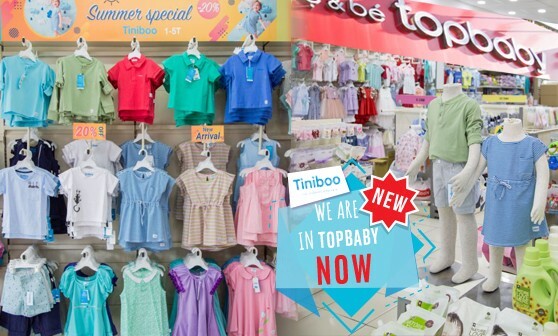 Now we bring Tiniboo to near you more when partnering with Topbaby chain stores across the country. We want to be a good place to meet every Mom’s need.